Newsbin Newsreader is a popular newsreader, which is heavily used. It is flexible, advanced, and has undergone continues improvements over the years. Its overall power and feature reflect this. You will realize that it is one of the top options currently on the market for serious Usenet users. It also works great for beginner users who want to enjoy their Usenet subscription. Several reasons make Newsbin Newsreader a top newsreader, and some of them include its premium features, NZB support, advanced security features, bandwidth utilization, user interface, and system compatibility. For $30, you will have the software and access to unlimited updates. This is a great value as the program continuously undergoes upgrades to enhance its performance. Also, there are subscription services for those that want to enhance the value of the product. For instance, if you want to make use of Usenet search feature that is sold as an add-on to the software, you can utilize three-month search service for $15 per month. This gives you an opportunity to get unlimited searches. Moreover, you can still spend $15 per month for six months with a limit of 500 searches. There is a standard feature with one year option, which does not renew automatically. With this option, for $30 you get 500 searches per month. You will find the above options to be of great value. Moreover, the search service is just integrated into the program. In this way, there are no added complications. If you are not sure whether this is the right newsreader for you, you can download a free trial version. In this case, you will not be required to input a key. Free trial version is limited to only 15 days. This will give you an opportunity to understand how different modules of this software work and how stable it is. Newsbin Newsreader supports ubiquitous NZB format. It is important to note that the program is compatible with NZB specification. Also, it is very convenient for using such popular format. Newsbin Newsreader can download NZBs. You can configure it work automatically. For instance, it can load NZBs from the menu option and just drag NZB onto the Newsbin. One of the things that will make you love Newsbin Newsreader is it’s easy to use interface. This is because the developers have paid a lot of attention into optimizing user interface and the way results are shown. A lot of newsgroup readers provide great technology for the sake of user interface. Fortunately, Newsbin Newsreader provides an excellent mix of different features and ease of use. 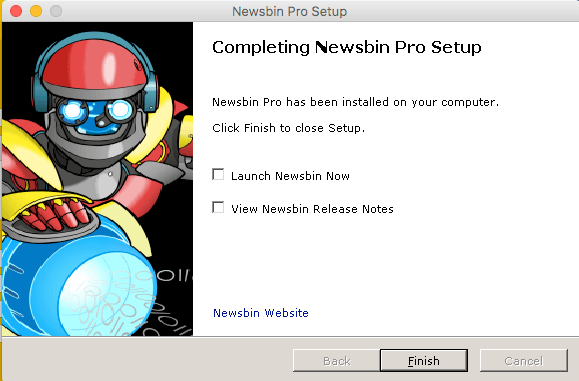 Newsbin Pro provides a broad range of features. It provides an embedded image viewer and database, download prioritization, built-in RAR processing, NZB support, and automatic header updates. The fact that it offers multiple server support means that you can configure several news servers for use at the same time. This gives you an opportunity to download from different servers including those provided by your ISP. Download prioritization is an important feature that allows users to get important files first. It features a built-in automatic newsgroup organization. This eliminates the hassle of combining different binary posts. The software discovers and combines different parts by itself. Moreover, you can configure it to act as a stand-alone newsgroup or a group of newsgroups. Another great aspect of Newsbin Newsreader is optimal resource management. This has been possible after several iterations of optimizations. It now uses less RAM as compared to the previous versions. It is possible to load newsgroups with more than a million headers in 150 MB of RAM. Newsbin Newsreader runs exclusively on a Windows platform. There are both 32-bit and 64-bit versions of the software. The installation process is quite easy. You only need to download the software from the developer website and install it just like you install other Windows programs. During the installation process, you will be required to enter your username, password, and news server. If your server provides SSL, ensure you check the box. This is necessary to encrypt your communication. It is still possible to use the software on MAC OS. You can do so through wine. As much as some functions will work perfectly, others may fail to work. If Usenet connection is hogging the bandwidth allotment, you do not have to worry. The software has a speed limiter that allows you to choose how much bandwidth it uses. This makes it quite easy to access articles and news at the same time. Newsbin Newsreader is most intelligently and frequently updated programs developed for Usenet users. The program has great built-in features that make it very easy to use. However, there is a learning curve that is involved. It has a great feature that prevents you from wasting time by protected archives and spam. Newsbin Newsreader supports SSL encryption. This is necessary to ensure all articles posted and accessed by your computers and news servers are encrypted. Also, it has other security features such as Password protect that requires a password every time you start the program. Sometimes it will also need a password for the chosen configuration options. 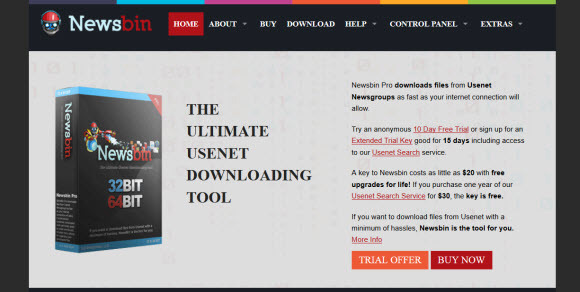 Newsbin works with many Usenet providers. It is advisable to check whether they do support your favorite Usenet provider. Newsbin Pro is a great newsreader that offers amazing Usenet experience. They have a great Usenet search engine that is built-in. This will help you get newsgroup articles. It is a top Usenet program for Windows. Dedication of developers to add new features to the program and lifetime upgrades makes it a top choice for both beginner and advanced Usenet users. One time pricing is quite important. With many upgrades being released on a routine basis, you can expect great software enhancements to keep coming.